Social Networking is the hottest topic in today’s world. Where Facebook, Twitter and Google+ are capturing the huge market share, you still have chances to make your mark with tools like HumHub. 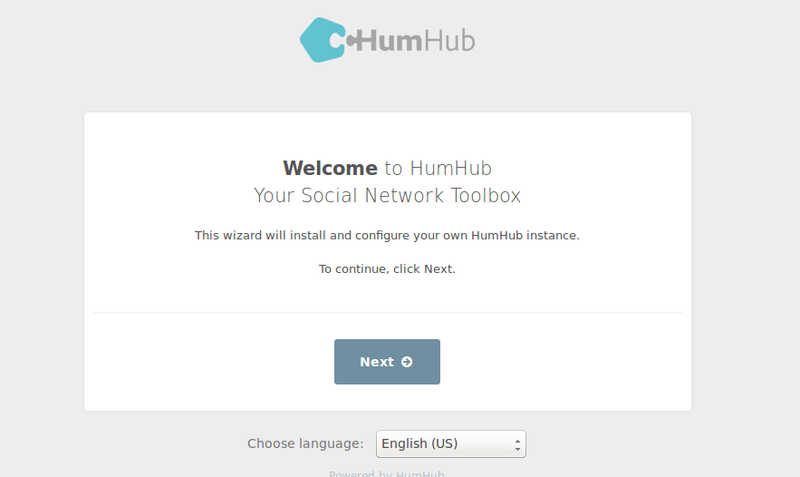 HumHub is a free, social network framework that lets you build your own customized network in almost no time. 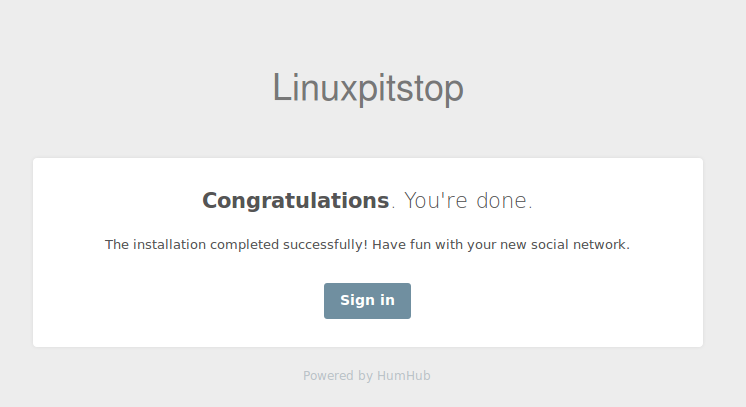 No need to setup huge infrastructure or spend thousands of dollars, simply install HumHub and start using your own social network today. It is developed in PHP and is easy to install and configure, let’s see how we can install this web application in Ubuntu Linux 15.04 operating system. It is developed in PHP and uses MySQL on the backend, so we must have Lamp-Stack installed on our system. Launch your system terminal and run following command to install Lamp-stack. During the installation process, it will lauch a pop up to specify MySQL root password, note down the password you set here as it will be used later while installing HumHub. As soon as the installation of Lamp-Server is complete, make sure to install PHP-GD and PHP-CURL modules, as they are needed by HumHub. Run following command to install these two components. 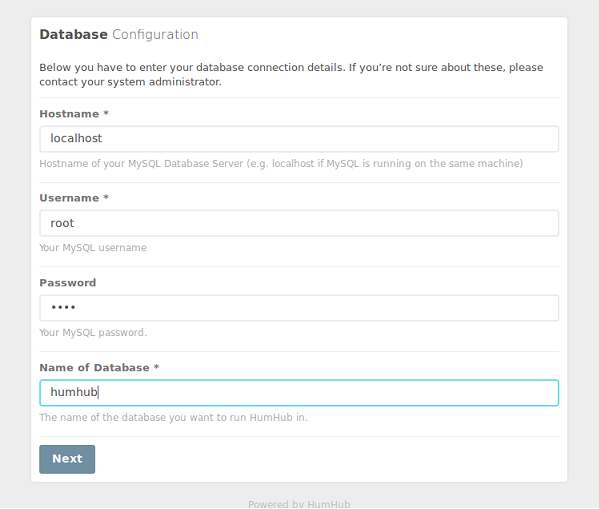 It’s time to create database for HumHub, login your mysql console and here run following command to create database. Following screenshot should depict the whole process for you. Download the latest version for Humhub from following URL. Once download process is complete, go to the download location via terminal and move HumHub zip file to Apache document root directory (/var/www/html). Now change your working directory to Apache document root. Here run following command to unzip the HumHub file. Grant writable permissions to the HumHub directory for the installation purposes. That’s it, the rest of the installation process is browser based. Launch your web browser and load http://locahost/humhub , it should display the following page. Choose your language for the installation and click “Next”, it will lead to the “System Check” stage, where installer will make sure all mandatory components are installed. Click “Next” from here to proceed further. We are on the database configuration stage now. Here provide your MySQL hostname, MySQL root logins and Database name and click “Next”. Provide name for your social network here. 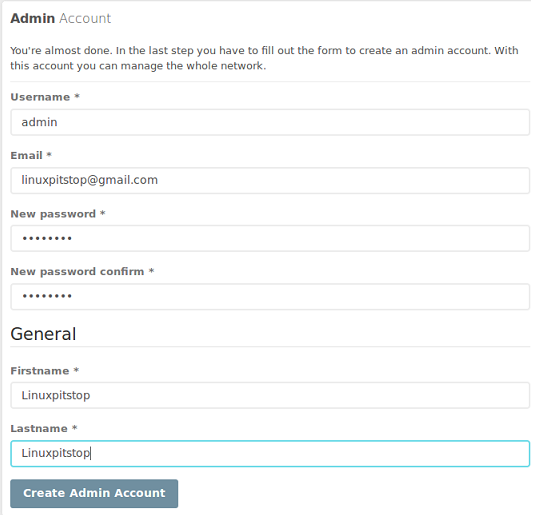 Create your Administrator account for Social network site management here. 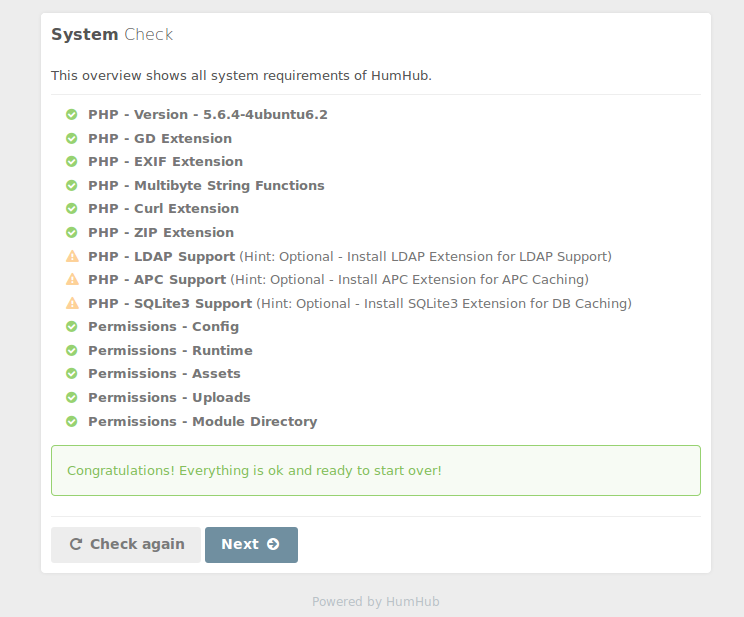 Congratulations, HumHub has been installed successfully now. Click “Sign in” from here and it will redirect you to the sign in page. There you go, here is your social network portal ready for use. Start customizing your site according to your needs and likings from here. 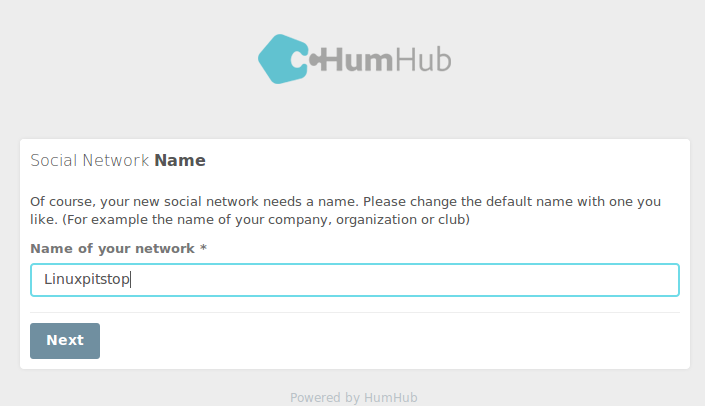 HumHub is a very flexible and easy to use social network framework. It offers a very eye candy user interface. For production purposes, we suggest installing it on a reliable VPS hosting. 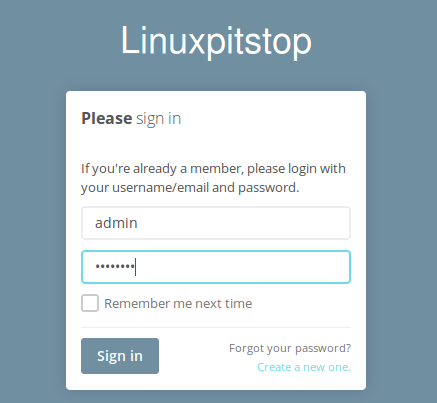 Linuxpitstop.com recommends HostGator VPS Services .